Proven Solar Solutions for Optimal Power Generation from 1MW to 1000MW nominal solar power parks. Bankset Energy Group is an integrated solar company offering expertise and power solutions across the entire solar value chain. With our capabilities and product offerings, we design, build, and operate the world's most sophisticated utility-scale solar power plants from 1MW to 1000MW nominal. Bankset Energy’s wide range of industry-leading capabilities include project development and finance, engineering, procurement and construction (EPC), operations and maintenance (O&M), and grid integration and plant control systems. In an age of dwindling fossil fuel supplies, renewable energy sources are becoming increasingly important. Photovoltaic systems, which convert solar power directly into electrical energy, are both a key technology for climate-compatible power generation and a major future market, with projected annual growth rates of 130 per cent over the next few years, our company is well-prepared. 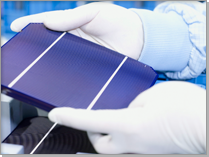 Active in the area of photovoltaic for more than 10 years, we're poised to continue expanding our solar business operating several of the most technologically advanced solar power plants in the world. 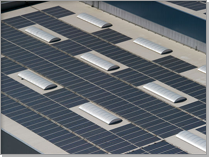 As a general contractor, we're focusing on developing, implementing and operating large scale photovoltaic systems for customers in the real estate, industrial and energy sectors. Roof mount systems or Ground mount systems is our everyday business.